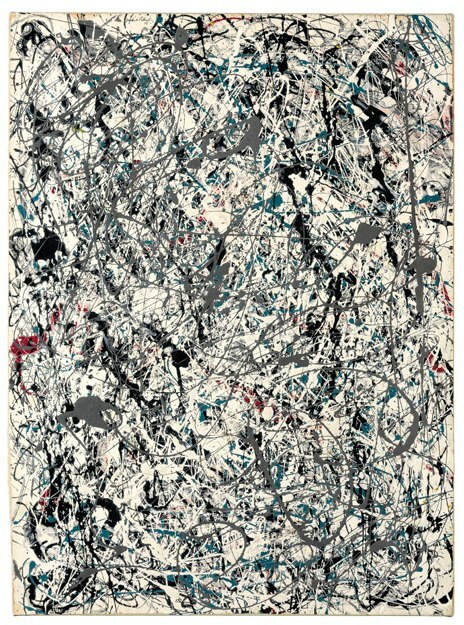 The New York Times reports on the staggering results of recent auctions at Christie's and Sotheby's of post-war & contemporary art, including Jackson Pollock's "Number 19, 1948" (pictured above), which sold for $58.36 million. The Splendid Table features Chapel Hill, NC chef Andrea Reusing of the restaurant Lantern, sharing her recipe for Turnip Soup.... Follow the link and listen to the audio version as well. Annette Joseph, the Atlanta based go-to lifestyle expert (for guidance in home decor, entertaining, and DIY projects), revealed that her first cookbook, Picture Perfect Parties, is now available for pre-order. One Kings Lane breaks down the essentials -- where to stay & eat and what to do & see -- during a "Weekend Getaway to Palm Springs". Eater Atlanta provides an insider's look into Chef Ford Fry's latest addition to his culinary family, the newly opened King + Duke, with design by Meyer Davis Studio Inc and located in the old Nava restaurant space at the crossroads of Peachtree & West Paces Ferry in Buckhead.